Hey Guys, i am here with Easy way, in which you can Hide root in android Phone. Whenever you install an app. then if it supports root permissions, then it will ask you for root permissions, then you can allow or deny via your Root manager apps like super su or kingroot. Previously, we was posted about Increase app memory of android phone via HK Rom editor. So if you have install an app, and it's asking you that your phone have root access, and that app will not run, then you can follow-up this guide and hide root access in your phone from That app. For Security Reasons, some apps can't be run on Android devices, which are rooted. 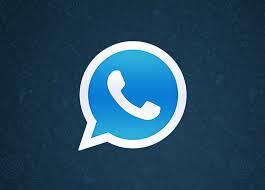 If you wants to use that kind apps, then you must read this full guide from below. We have also posted about Root Android Without Pc Method, which will help you to root your phone without any Pc / Laptop. So basically, in this guide i will provide you full information about how can you hide root from your android phone easily from any app, with the help of some apps. So check it out now from below. So Guys, if you want to hide root access from your mobile Phone, then you can simply follow below process, in which i have mentioned all steps, for how can you hide root access from your Phone easily. You can hide root from your Phone, without having any kind of issues. This Hide root process is working perfectly, and i have personally tested it. Also have a look at How to Set Shutdown Timer in PC. Android Have Many Good apps, Some of the apps will not work in rooted android phone, due to some security Reasons, so you can follow below procedure, for Hide root access in Rooted android Phone easily. So you will not be need to unroot your phone, for use apps which refuse to work in Rooted Android Phone. Here we Go ! 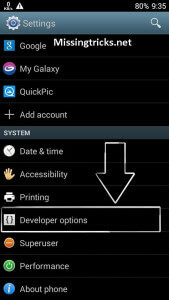 So if you are looking for a easy way, in which yo can hide root from your Phone, then this Guide is for you. I will Explain all step by step guide, which you should checkout for hide root access from your Mobile Phone. you can easily use this guide, and hide root from your phone from any app. 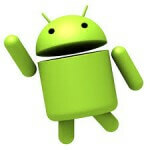 This Guide can work in any android phone, and running on any operating System. So Need to worry about that. Previously, we was shared How to prank your friends by crashing their browser. There are Big number of apps available for android phones, but unfortunately some apps can't run on rooted android phone, so you need to unroot your phone for use that apps, but wait ! there is a way to run that kind apps in your phone, without actually unroot your phone. This way is known as Hide root method, in which you can hide root from any app, and app will think that your Phone is non-rooted, and that app will work on your Phone Normally. Checkout Video procedure on how to hide root access in android devices easily in just few clicks, with the help of root cloak android app. If some of the apps are showing any warning, and that app is not able to run, because your phone is rooted, then you should use Hide my root method, which i have mentioned below. if you just unroot your phone, then after you need to run any app, which need root access, then you need to root your phone again. If you have PC, then you can easily Optimize Internet Download manager Speed with IDM optimizer, must try this once, it will boost your Download speed upto 5X. so If you use this hide my root method, then you can hide root access from your phone, without actually unroot your phone. so now. if you are ready to hide root from your phone, then checkout full guide from below now. So if you want to use some apps like Some banking apps don't run on Rooted android Phones, so you must checkout this Guide. This will Easily Help you to run Any App, which app is not able to run just because your Phone is rooted. There are 3 ways, in which you can hide root from your Phone. Below, i will mention all of the ways, for hiding root access in android phones. There are several apps available for android phone, which you can try and you will be able to hide root in your phone successfully. Hide Root In Android Method id fully explain below, I have mentioned each and every important step, for hide root access from apps in rooted android phone. Checkout full guide now from below. This method is based on Root Cloak Plus app, which is very good and best way to hide root app easily in any android phone. This method is very easy and it will work for you like charm. This app is developed by devadvance. 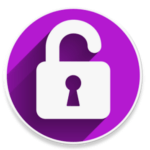 This is the best and easies app , for hide root access from apps in rooted android phones. this app will work without any xposed module because, this is the cydia version of root cloak app. there are 2 other versions available of root cloak app, which are for kitkat / lollopop and marshmallow. you can also use that app, if you have xposed installed in your phone. Just select app of your choice, to whom you wanna hide root from your phone. and force close or clear data of that app from your phone and reopen that app. it will no longer show you warning, that your phone is rooted. So this was the very easy method for hide root access from your phone. if that app still showing that your phone is rooted, then just follow below method, which is hide my root app method, which is another great method, but it works only on Stock Based Roms, and Hide my root app will not work if you are running Cyanogenmod based rom or MIUI roms, which have in build root access feature. At first, Open Hide my Root app from your phone. 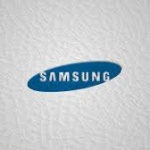 Now, It will ask you for superuser permissions, Just Grant superuser permissions to this app. and wait for 2-3 seconds, it will show you success message, that you have successfully hidden su binary. it will show you message, that Successfully Hide Su Binary. 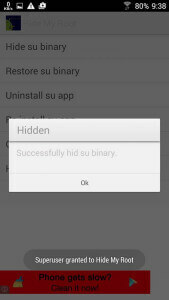 Click on Restore Su Binary Button when you want to unhide root from your phone. Note – This app is not complicate with kingroot, if you are using kingroot, then use supersu app, also checkout – how to replace kingroot with supersu. With this method, it will hide root from all apps, rather than hiding root access from one app. 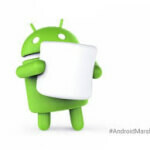 Custom based roms like cyanogenmod and Miui comes with prerooted rom. in which you don't need any third-party apps for hide root in phone, because it's have pre-installed feature of turn on or off root access. so checkout below method, which will work in cyanogenmod based roms, for hiding root access without any third-party app. Now, Go back to main menu of settings, you will see an option of Developer options, click on that and click on Turn on button from top right corner. Now, Select Root Access, and select Disabled option from there, and you are done. and you are successfully hidden root access from your phone, without help of any custom rom. so this was the best way for hide root access from custom roms. Remember that this method will not work on stock based roms. also see Solve Couldn’t save screenshot. 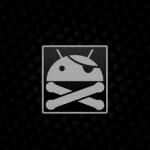 use hide my root method for stock based Roms. so these was the top / best 3 ways for hide root access from android smartphones. i hope you have liked this Article. If you Have MI Device, or you have MIUI Rom Installed in your Device, then Hide my root app will not work, because that apps is not suitable for use. 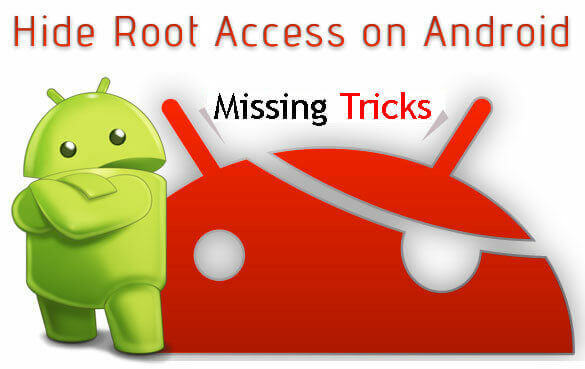 You need to Use Inbuilt feature of your Phone, for Hide root Access from various apps easily without any issues. So You can checkout below easy steps, for hide root miui method. At first, Open Security App from your App Drawer. 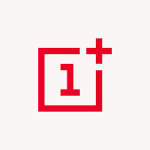 Select Root Access from your phone, and select Disabled from List. and you are done, you have successfully hidden root access from your phone. with this guide, you have successfully hidden root access. remember that, this guide will work only in custom based MIUI Rom. 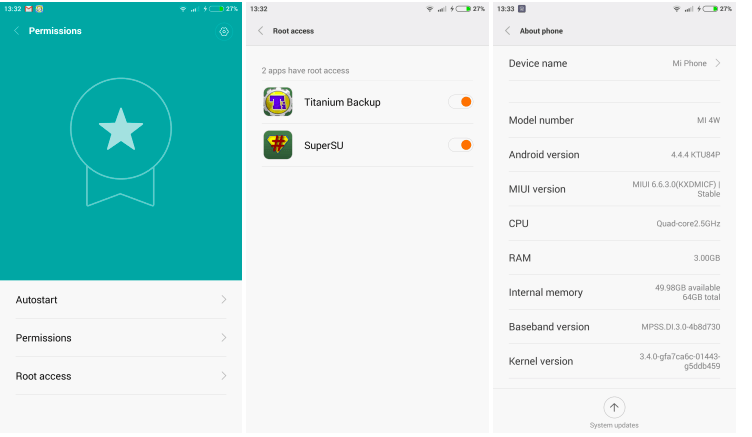 if your phone comes with preinstalled MIUI, then this guide may or may not work for you. so try this at once, if not work for you, then try root cloak and hide my root app method. So Guys, this was the from one of the easiest way for hide root access in rooted android phones. there are also some other ways, but that ways are not that good. i have did many research on hide root access in android from various apps. and i have found some good methods, which i have tested and working perfectly. Also have a look at Device Emulator app, for Hide Identify of Phone from Various apps. so i have shared that methods, so let's enjoy this trick of Hide root access from any app in rooted android phone. if you have any issue or confusion while following this guide, then feel free to comment below. i will try to help you. So this is the one of the Easiest way, for Hide root access in rooted android phone from various apps. So Simply you can follow above procedure, for hide root access in your phone, without any third party apps if you have cyanogenmod or MIUI based ROM. else, you need third party apps for hiding root access in Android mobile device. 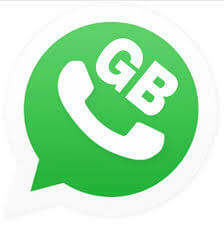 Before some days, we was also shared How to Stop Background Apps with Greenify. So also have a look at this Guide once. You must also like to Unblock all Block sites in Android Phone. So Guys, this was the easiest way for hiding root access from Rooted android Phone. I have mentioned total 3 ways, which you can checkout for hiding root access in your phone, without unroot it. I have searched a lot methods, and i have found that these 3 methods are the easiest and best working methods for hide root access from your android phone easily. 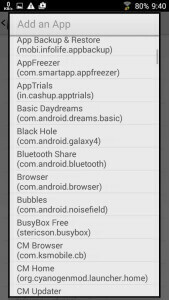 also have a look at top apps list for rooted android phones. So must checkout these methods one by one, and give your feedback in comments. if you have any issues while following this guide, then feel free to comment below. Thanks for visiting and keep visit here for more tricks like this. Snapdeal app sooo powerfull to break All hide root tricks..
Is this process working with taskbucks. Phn confirm and tell me. I have some task continue in my taskbucks account. So I want to know if I clear data all task still available in my account..
Will It work in databack app ?? Thanks for the speedy reply. I’ll test it soon and see how it goes. maybe this trick is blocked in your state. yes you can hard reset phone. Try to clear data of play store, and then see if downloading or not. Karbonn Sparkle ko kaise hack kare???? Zaldi batao warna muh todd denge ham apna.. ???? Miui phone hai but root access ka option nahi waha jaha par apne upar blog mai btaya hai kya karu please reply . To mai konsa method try karu bro . Mera phone jaisa company sai aya waisa he hai kuch change nahi kra bus root kra hai. Konse method sai hoga? thank u 2 nd method works for me. BIG THANKU!!!!!!!!!!!!!! Jo pahley kingroot sey root kiya hua hai baad mai usey supersu me sey super su mai convert kiya hai. Uskey baad hide root and roatcloak and rootccloak plus tino app sey hide root kiya kuch app root detect nahi kar pa rahey hai lekin kuch important app hai jo fir bhi root detection kar rahey hai or run nahi ho rahey hai message aata hai ki phone are rooted pls help. witch method will work on Pokemon GO? does anyone tried it?? Thanks! Which method is working on latest pokemon go? does anyone tried it? Has anyone managed to use any of the 3 methods above to successfully hide the root from snapchat, also Sky Go app if possible? No any method worked for Emirates NBD mobile banking app.. Any other ideas? I am ready to donate..